The sun is actually shinning and it's beautiful and bright! shhhhhhh don't tell it, it may run away again. Well I have been and I am back from America. I picked up my precious threads and ooooh ladies and gents they are stunning. I had a fabulous time. We flew into Logan airport in Boston and then drove to New Hampshire to stay at the Colby Inn. I went into Quilted threads to see Becky the owner and her wonderful staff. It was great to play catch up. 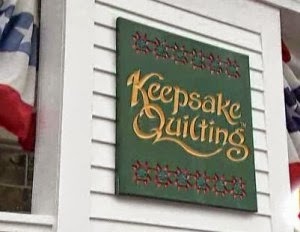 Whilst in New Hampshire I also found another quilt shop, well my husband did and we drove off to take a look. Another huge quilting shop with loads of fabrics and all sorts of other goodies!! Its called Keepsake quilting and its massive as well. So it would have been rude not to explore it further...... So I took the challenge. It has lots of sewing things that you would not believe and the ladies that work there are very helpful. I managed to find some more thread!! different to my shaker thread you understand but worth buying a bit to play with. 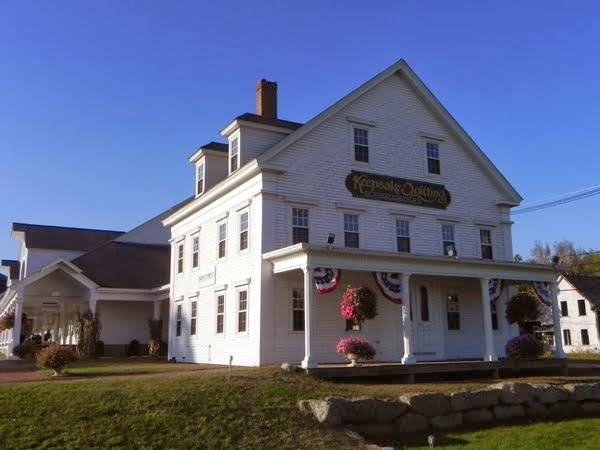 I got lots of ideas whilst in New England, they really are ahead of us on craft products and also know the value of handmade. Everywhere you go they want handmade not made in China and its refreshing that they see the value of that. I am back and a bit jet lagged I have to say but full of ideas and wonderful memories of amazing people that I met. Whilst there I signed some copies of Somerset life, the magazine that I am in over there, and met some fans. Thank you to you all for chatting and for your wonderful support of my work. So I must get back in the swing of things and clean up a bit, put away my new stashes carefully and sit and sew. My ever growing list will not go down on its own. MY OH MY!!!! could you not have squeezed me into your suit case so I could go to the quilting shops too????? Glad you had such a wonderful time Sarah. Believe me when I say no more could have possibly got in to the suitcases! !